Lately, if you checked out the books I keep in my favorite reading spot on the back porch, you would see the 4:8 Principle by Tommy Newberry. This book is so good, I've probably read through it seven times. It deals with Philippians 4:8 and how to focus your mind in a Christ-honoring way so you'll live a life of greatest fulfillment, not only just being the happiest you could be, but also the most productive. I feel that if you're going to maximize who God wants you to be, you have to cultivate what I call emotional self-discipline. Most people have ministry goals, they may even have physical goals, but very few people have emotional goals and I'm determined to be one of those people who do. Emotional goals allow me to stay focused mentally and up my productivity and living into the destiny God has for me. I will not allow myself to be overwhelmed emotionally with the pace and the never endingness of the demands of ministry. I will take special time on my porch each day and I won't feel guilty when I have an extra cup of coffee. I will realize that I'm not going to be able to jump through everybody's hoops, but I will get what I feel is the most strategic done and I'm saying to myself that I'm not going to let myself live in a constant fog of not feeling good about my life because I have so much to do I can't do it all. I will choose to have affirmations in my life that I repeat to myself often. Affirmations are choosing to meditate on things from the Word of God that the Scripture tells us to meditate on. Short phrases that when my emotions start to go south that I bring back and I say to myself and they anchor me. What's the secret to a happy life? So many people think it rests in money, power and fame, but they couldn't be further from the truth! Most will find, after they've spent some time barking up the wrong tree, that true happiness begins by choosing the direction of your thought life. Sounds too simple, doesn't it? Unfortunately, all too often we've allowed negative comments people have made or our previous mistakes to keep us tied to the past. It prevents us from enjoying today and pursuing all that God has for us tomorrow. How do you overcome the comments and mistakes? 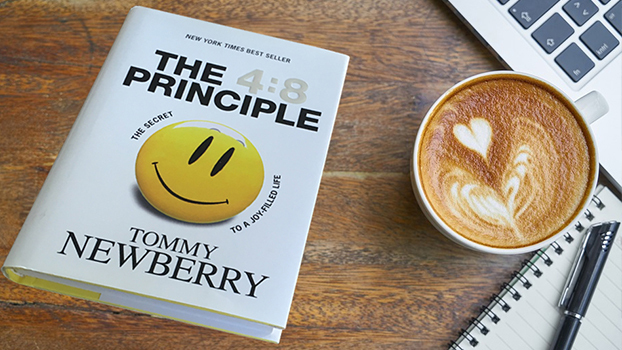 In this Source, "The Pursuit Of Happiness," we will draw upon some of the expertise of Tommy Newberry in his book "The 4:8 Principle." In addition to his great book, we'll use circus elephants, a pear tree, a Billy Graham quote and dollar bills to get the point across that "whatever we focus on, we fuel!" So, grab a cup of coffee and join me. This message is not just for your kids, but for you too. The diagnosis is in and I've got a dreaded disease! In fact, it's a disease I've been battling for quite awhile. I wouldn't be surprised if you have it too! It's certainly not as serious as cancer or leukemia, but damaging nonetheless. It goes by the name of "The Disease To Please." This serious emotional disease can become both consuming and crippling if we are forever striving to "be liked" and "approved of." For when our people-pleasing side gets too big in our lives, our God-pleasing side invariably gets too little. The good news is that it's curable and, for the most part, all starts and stops in our head. So grab a cup of coffee and listen in on the causes, effects and ways to conquer this debilitating disease and frequent root of ministry burnout. Whatever your personal views of Joel Osteen, only a short-sighted person would fail to acknowledge his huge spiritual impact. However, many of us don't find ourselves as "hard-wired" for happiness as he seems to be. In fact, many conscientious youth leaders have a secret, internal nagging-something like "Is this how abundant life in Jesus is supposed to FEEL?" We're busy trying to lead others towards authentic fulfillment and happiness. Yet in private moments, we sometimes are a little disillusioned ourselves. Pulling from Harvard's Dr. Tal Ben-Shahar's book, Happier, in this Youth Leader's Coach I explore the "question of questions" ...How can we help ourselves and others to become happier? So make the journey with me as I cover this rare topic in the context of biblical principles. 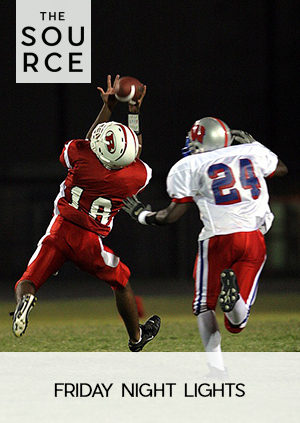 Counselors tell us that 1 out of every 5 people in America today have a serious problem with rejection. But when they did the statistics on today's youth culture, they said that 1 out of every 3 people in today's youth culture deal with serious rejection issues. I think we all have the little kid inside of us who is searching for different things...love, attention, affirmation, understanding, trust...or maybe even justice. As I listen to people, very few of them say the literal word "REJECTION"...yet that's what their hearts are pointing to. That's why I call this month's Source, "THE WOUND WITHOUT A NAME." After all, there's no bigger battle in life than the one between the parts of us that WANT TO BE HEALED...and the parts of us that are comfortable and content with REMAINING BROKEN.